CooksRecipes has quality, kitchen-tested recipes for diabetic-friendly fruit sauces, salsas and relishes that you can count on for accuracy and deliciousness. 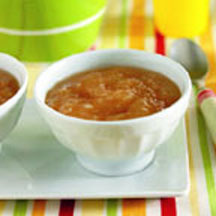 A simple, cinnamon-scented applesauce without the extra sugar. Nothing tastes fresher than a homemade dessert sauce. 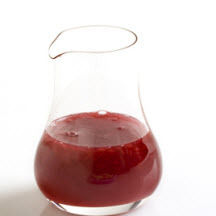 Two cups fresh raspberries may be substituted for frozen raspberries in this make ahead sauce. 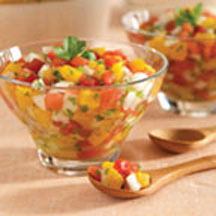 Refreshing and zesty, serve with grilled meats or as a dip with baked tortilla chips.